Fabio Wibmer - Fabiolous Escape 2 - Ski. Play. Live. 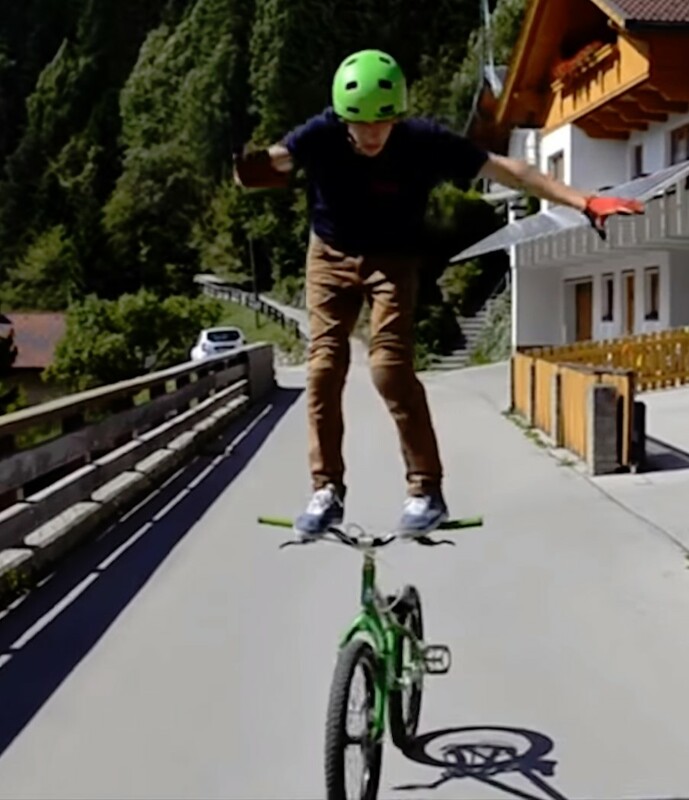 All I can think of when watching mountain bikers go big in any bike park or downhill track is “Do not try this at home”, how many times did he crash to get that shot and how long will it be before he winds up in the hospital? It takes a very unique athlete to want to ride like that, risking life, limb and dome; let alone riding that way on snow. Check out 22 year-old pro biker Fabio Wibmer tearing up a ski area terrain park in Saalbach, Austria, while being chased by fake cops who can’t act. Teehee. BTW, Wibmer suffered a broken collarbone during the filming of this madness.